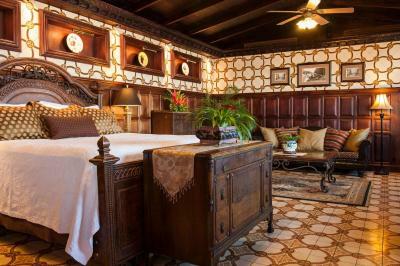 Lock in a great price for Grano de Oro Hotel – rated 9.1 by recent guests! 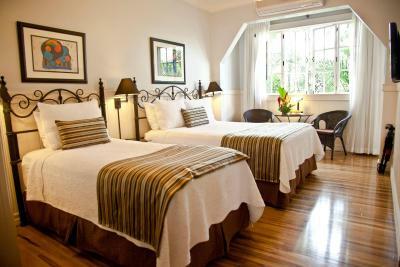 It’s a beautiful gem of a small hotel in downtown San Jose Costa Rica. 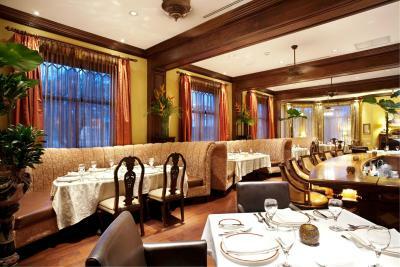 It has a wonderful restaurant and the staff couldn’t be better. Unfortunately my stay was a very short one... 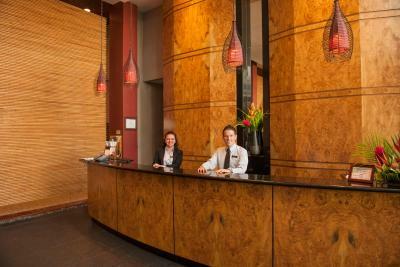 But the staff that I encountered were excellent and my room was upgraded with no extra cost. WE had a very quick light breakfast in the restaurant as were had to leave early in the morning to catch a shuttle and I arrived very late at night. I appreciated the complimentary fridge contents. 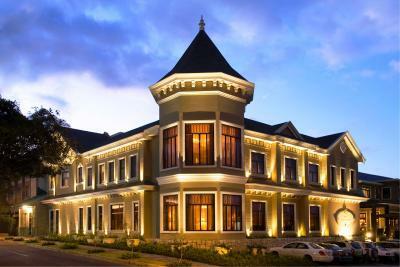 Beautiful boutique hotel in central San Jose. Worth every penny. Very authentic and comfortable. We are staying there again on the way out of Costa Rica. While some tourists skip San Jose we wanted to see the sites and relax or first day after traveling. We spent two nights at Grano and would happily have stayed longer. The staff was terrific. Our room was lovely and immaculate. And the food....amazing! We saw several locals dining....always a good sign. 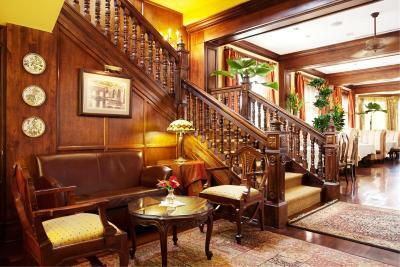 Beautiful and well maintained hotel. The staff was very nice and helpful. Atmosphere- it’s not a chain; it had a personal feel. The restaurant was very good with an extensive wine cellar. The staff were extremely accommodating. I didn’t bring a jacket and was on my way to visit the volcanoes. One of the receptionists offered me his coat for the day! Remarkable. It was so cute! Everything about the place is tasteful. From the moment you walk up to the place it is beautiful. Very clean, very friendly. 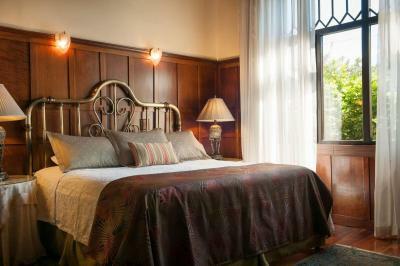 The rooms are great and so are the amenities. It was also reassuring that there is 24/7 security outside. I have stayed at this hotel for 20 years. It is a joy to be welcomed back by newer staff . The restaurant is a big draw too. 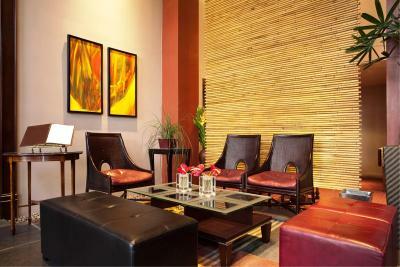 Grano de Oro Hotel This rating is a reflection of how the property compares to the industry standard when it comes to price, facilities and services available. It's based on a self-evaluation by the property. Use this rating to help choose your stay! 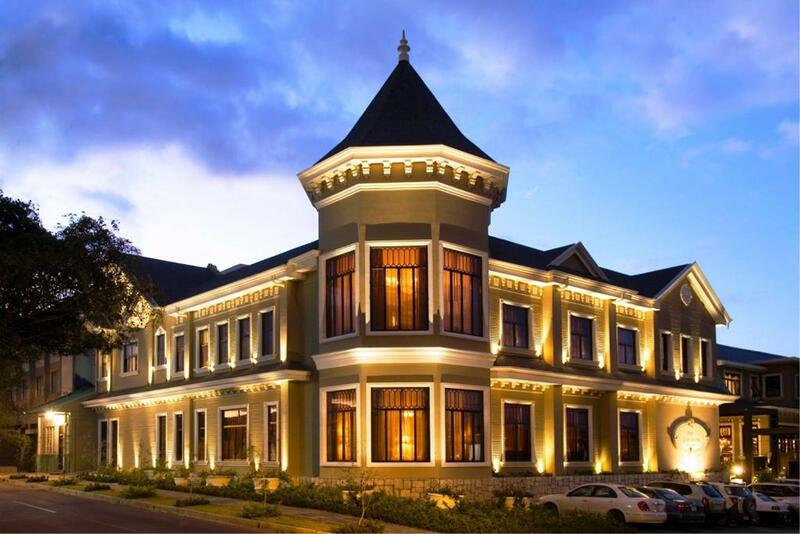 One of our top picks in San José.This luxurious hotel is in the center of San Jose and features an on-site gourmet restaurant, free parking and free Wi-Fi. 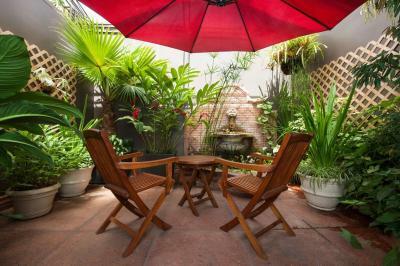 The Hotel Grano de Oro also provides massage services and a rooftop garden. 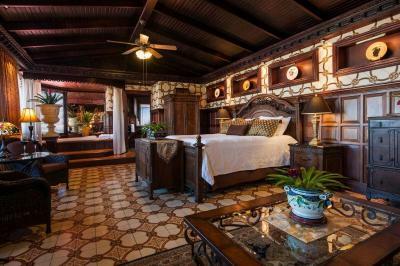 Each spectacular, air-conditioned room at this property features a beautiful wood décor, vaulted ceilings and a flat-screen TV with cable channels. 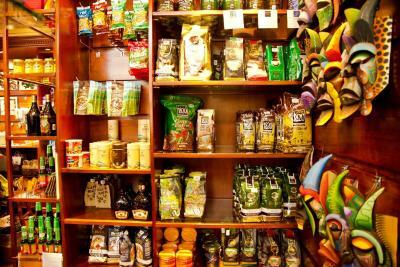 They also include free toiletries, plush linens and coffee makers. 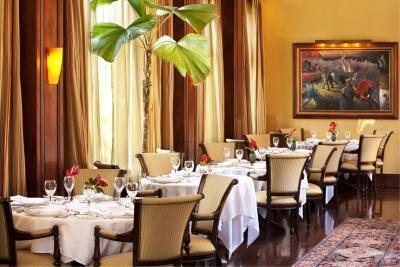 Grano de Oro’s famous restaurant serves a fusion of Costa Rican and European cuisine and is open for breakfast, lunch and dinner. 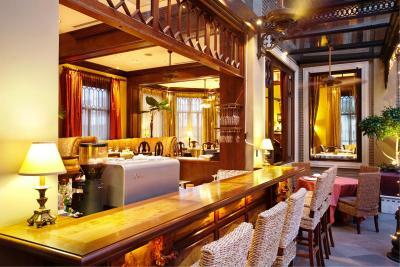 It also features a bar with a wide selection of wines and spirits. Many of San Jose’s main sights are within a 10-minute walk of the property. 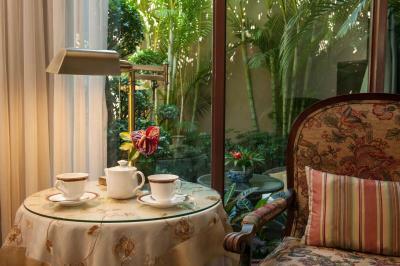 The hotel’s tour desk can arrange tours of museums, theaters and coffee plantations. Juan Santamaria International Airport is a 15-minute drive away. This property is also rated for the best value in San José! Guests are getting more for their money when compared to other properties in this city. 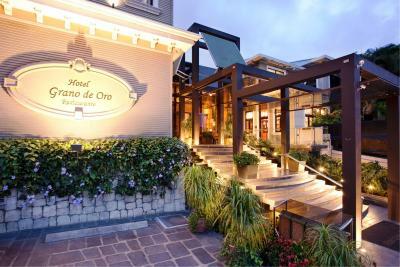 When would you like to stay at Grano de Oro Hotel? This air-conditioned room features a flat-screen TV with cable channels, as well as a private bathroom with a shower and free toiletries. A wardrobe, a coffee maker and a mini-bar are also provided. Free Wi-Fi is available throughout the property. 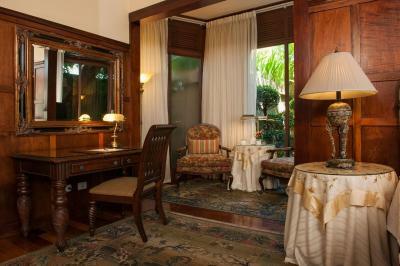 This room features a comfortable sitting area, plush linens and room service. 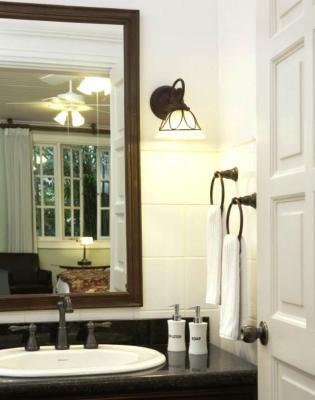 There is also a flat-screen TV and a private bathroom with free toiletries. These rooms have a wardrobe, a coffee maker and a mini-bar. Free Wi-Fi is available throughout. 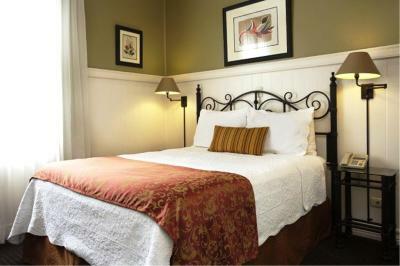 This air-conditioned room features fine linens, a flat-screen TV and a private bathroom with a shower and free toiletries. There is also a wardrobe, a coffee maker and a mini-bar. Free Wi-Fi is available throughout. 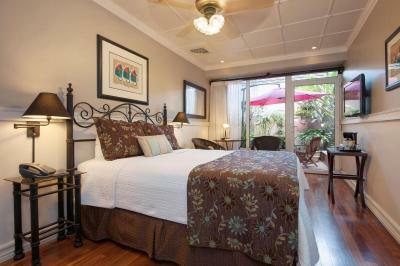 This double room has a mini-bar, patio and air conditioning. 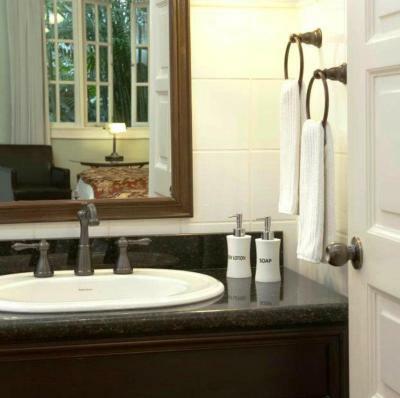 House Rules Grano de Oro Hotel takes special requests – add in the next step! Grano de Oro Hotel accepts these cards and reserves the right to temporarily hold an amount prior to arrival. it has so much charm as well as real comfort. The food was incredible! Everything quite beautiful and loved the terrace! My bill was a lot more than I thought it was going to be. If I would have known how much it was going to be I probably wouldn't have opted to stay there. 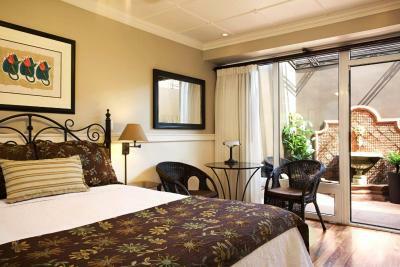 A truly beautiful hotel, luxuriously decorated, a wonderfully comfortable room and fantastic amenities. 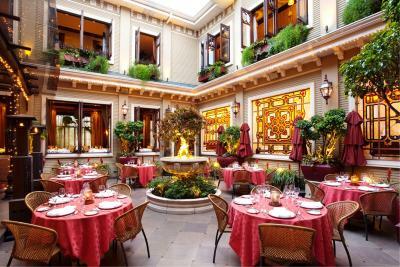 The restaurant is also a must just to sit and relax in the beautiful courtyard. The staff were lovely, it was my husband’s birthday which I mentioned to them and they left a really sweet note, balloons and some delicious fresh fruit in our room for him! Such a wonderful personal touch that was very special! You have to carry your luggage through a lot of stairs because the hotel is older. A little bit noisy during the night, as we can easily hear other guests. We stayed in the beautiful suite at the top overlooking the city to the mountains. 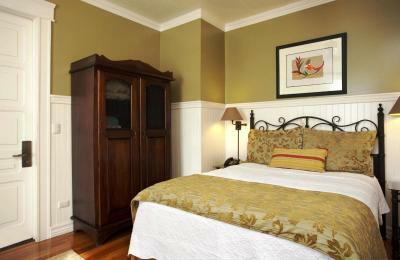 Classically decorated, welcoming and comfortable. 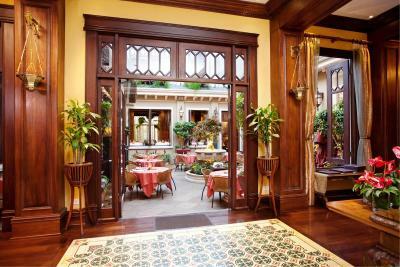 Dinner in the courtyard and elegant dining room was superb. Wish we were staying longer; will be back!